In the God’s Gifts Together Activity, primary aged children learn that God’s gifts of light and water work together to create something special: a rainbow! 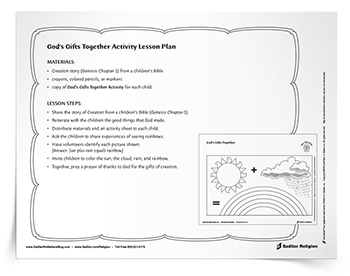 Fill out the form to download the God’s Gifts Together Activity now. Download is available in English or Spanish.